Doctor prescribed HGH injections offer superior benefits to men and women over thirty who have growth hormone deficiency. Blood testing measures various hormone and other levels to support a diagnosis of GH decline. HGH is a biological match to real human growth hormone secreted by the pituitary gland. HGH is safe to use as prescribed for the treatment of growth hormone decline. When the body has enough HGH on its own, the typical benefits of the medication will not manifest. Only those individuals deficient in HGH will experience positive changes. All HGH injections require a prescription in the United States. There is no such thing as legal non-prescription HGH injections. To buy HGH injections without a prescription is illegal and may result in judicial prosecution, confiscation of medication, and the potential for receipt of counterfeit products. The biggest risk is to those individuals who purchase prescribed HGH injections from the black market without proper authorization. Counterfeit HGH is rampant overseas, and many products contain dangerous ingredients and substances. Also, without a prescription it is impossible to know how much HGH to take, or if it is even necessary. Any online search for HGH injections brings up a plethora of options. Some pharmaceutical company names are easily recognized, such as Pfizer and Eli Lilly. Others have foreign-sounding names that make it clear they come from areas of Asia. 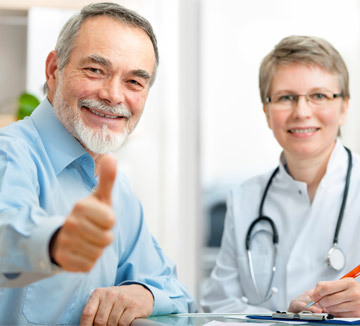 All the well-known brands of doctor prescribed HGH injections meet the same high-quality standards known to reverse the symptoms of growth hormone deficiency. That cannot be said for the multitude of lesser-known companies that often produce HGH in less than desirable facilities. Run down warehouses and factories are not proper facilities for the manufacturing of human growth hormones or any other medications. Each of these products meets the high standards set forth for the treatment of growth hormone deficiency. What Kind of Doctor Prescribes HGH Injections? Any medical doctor can prescribe all types of pharmaceuticals, that does not mean that they should. The wrong medication or the wrong dosage can have dire consequences. Using doctor prescribed HGH injections when not needed can lead to the body shutting down its natural hormone production. Unpleasant and potentially dangerous side effects could also occur. That is why turning to a hormone replacement therapy specialist is the best way to proceed when you believe HGH therapy can help you. Even if you do not know what is wrong, but have some of the early signs of aging, you should go ahead and get tested. The sooner we can catch this decline, the quicker we can get your body back on the right track. The hormone specialists at Greenberg Health offer prescribed HGH injections to those adults over thirty who can benefit from this treatment. If your body produces enough GH, we will not give you a prescription. Our goal is to provide you with the best possible care for the reversal of your symptoms. Please contact us for a free consultation and professional evaluation with a clinical advisor to discuss your hormonal health.